Zetter Trucking’s team of freight trucking management experts are available to recommend cost effective solutions that can help you meet any transport objective. Offering a complete range of refrigerated transport services, our reliable fleet can accommodate any need you may have. Zetter Trucking offers the highest level of customer service and efficiency. On the road 24/7, our trucks are linked to a support service which means that your goods are delivered safely to the right destination and at the right time. In addition, shipments are satellite monitored with convenient and continuous online tracking, as well as proof of delivery notification. 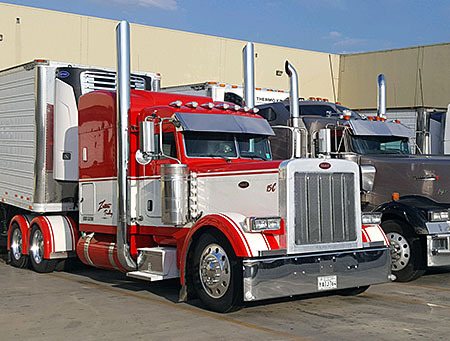 Providing complete freight transport services, Zetter Trucking handles every aspect from the loading of your products to the on-time delivery of your products. Operating the latest models and top-of-the-line tractors and trailers, our professional team of technical personnel keeps trucks well-maintained and secured with safety features that keep your cargo safe and intact. Enjoy the full advantages of flexible freight trucking services to transport anything from fresh produce and frozen commodities to general merchandise. All information provided is provided for information purposes only and does not constitute a legal contract between Zetter Trucking and any person or entity unless otherwise specified. Information is subject to change without prior notice. Although every reasonable effort is made to present current and accurate information, LinkNow™ Media makes no guarantees of any kind.